During the 1980s, when my grandaunt’s house was being renovated, something unusual was found beneath the floor. As the flagstones were lifted, two large horse skulls were revealed near the centre of the room. The house had been built in the 1840s and the horse skulls had laid undisturbed since then. At the time it struck me as peculiar, but I thought little more of the discovery until nearly 20 years later, when I was working on an archaeological excavation at Portmarnock, Co. Dublin. This remarkable site contained the extensive remains of buildings, yards areas, pathways and wells, most of which dated from the 15th and 16th centuries AD (see Moriarty 2009). 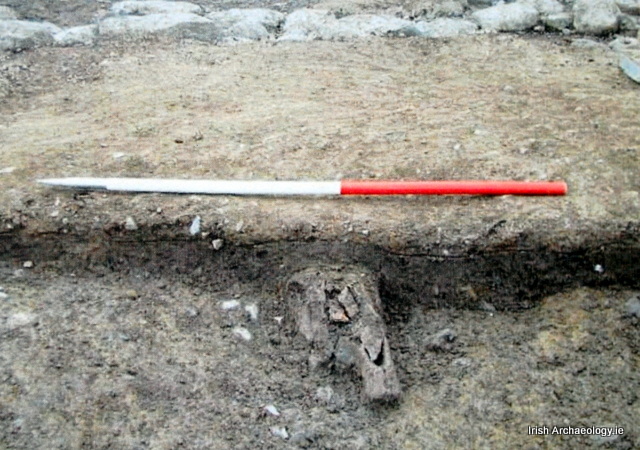 As the clay floor of one of the Portmarknock houses was excavated, a horse skull appeared near the centre of the structure. This immediately reminded me of the bones discovered in my grandaunt’s house so many years before. Similarly, this horse skull had been carefully placed within the floor of building when it was constructed. It was from a mature animal and there was no evidence for an attached jaw bone. This indicated that the head was in a de-fleshed state at the time of interment and had probably come from an animal that had died some time before. A charcoal sample from the floor deposit was radiocarbon dated to c. AD 1491-1641 (2 Sigma), which suggests that building was most likely constructed during the 16th or early 17th century. This discovery was followed shortly afterwards by the unearthing of not one, but eight horse skulls in a second building at the site. They were closely packed together and again had been deliberately placed when the clay floor was thrown down. The skulls were all from stallions, the majority of which, were over 15 years old at the time of death . Again no jaw bones were attached to the skulls indicating that they were probably de-fleshed at the time of deposition. The pottery assemblage recovered from the house suggested that it was constructed in the late medieval period. So what exactly was going on? 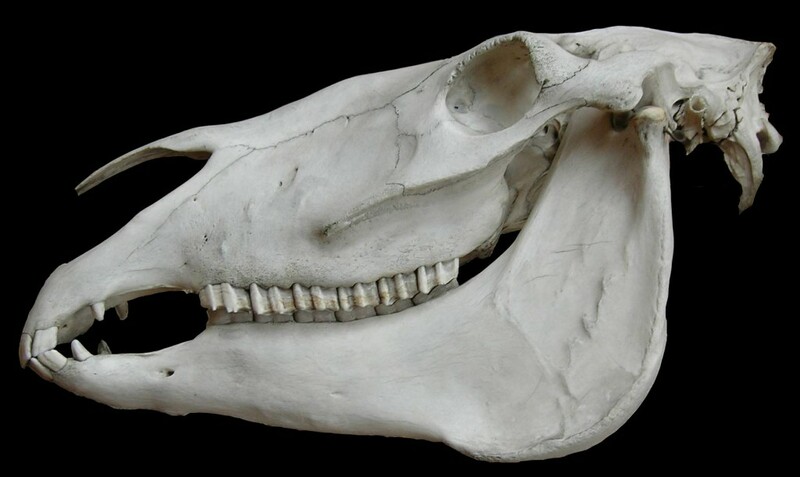 Why were horse skulls turning up in these buildings? Further research revealed that these strange equine deposits, were not so unusual after all. 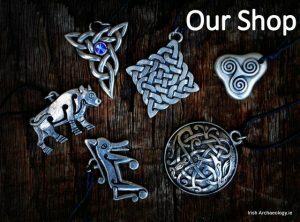 Indeed, they mirrored Irish folklore accounts from the 17th and 19th centuries, which indicate that horse skulls were often buried in floors. Apparently this was to provide ‘luck’ for the inhabitants and also to improve the acoustics of the buildings (the hollow skull would resonate when stepped or danced upon). 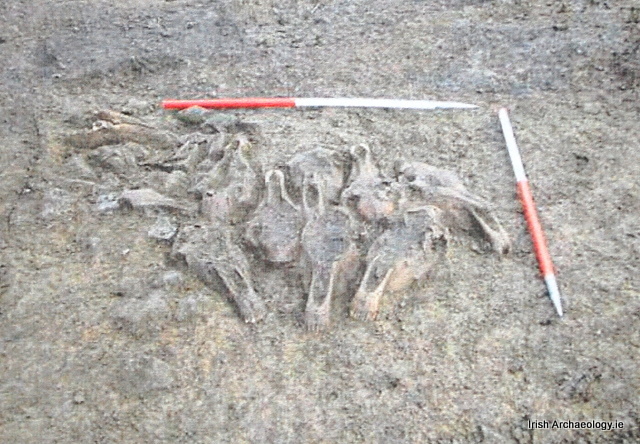 In Armagh, for example, during the early 19th century ‘the frontal bones of a horse’s head were regarded as being particularly sonsie (lucky), and were often buried in barn floors and under the thresholds of dwelling houses for this reason‘ (Donaldson 1923, p. 77). Similarly in Wexford, ‘when a horse died the head would be cut off and kept and whenever a person would be building the first thing to go down (in the floor) would be the head‘ (O’Suilleabhain 1945, p. 47). How exactly horse skulls were thought to bring ‘luck’ remains uncertain, although it has been suggested that they may represent magical charms (see Hoggard 2004). 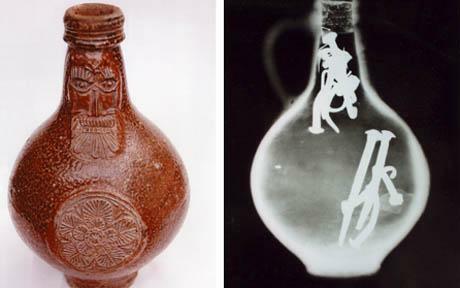 During the Early Modern period objects such as mummified cats, concealed shoes and ‘witch bottles‘ were sometimes incorporated into buildings, apparently to protect the occupants from evil. 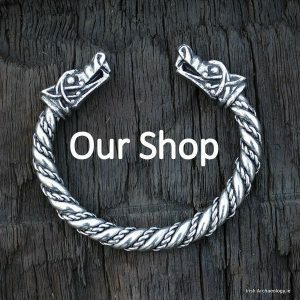 It is possible that some of the buried horse skulls had a similar apotropaic function. Donaldson, J. 1923, An historical and statistical account of the Barony of Upper Fews in the County of Armagh in 1838, Dundalk. 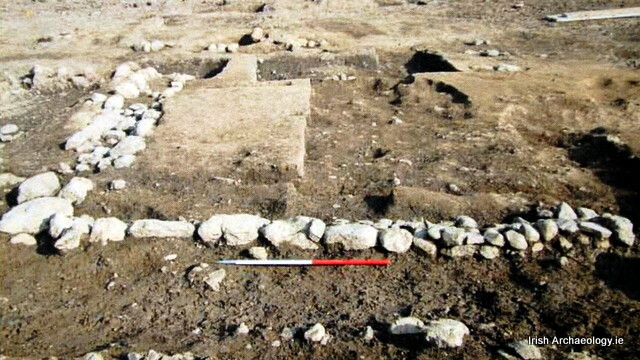 Moriarty, C. 2009, Archaeological Excavations at Portmarnock, Dublin. An Unpublished Report for Margaret Gowan & Co. Ltd. I am unable to post specific references as I am away from home but was involved in recording the find of a large animal skull in a house in Ballaugh , Isle of Man when I was Island Archaeologist. It was built into the external wall, at first floor level, eye sockets facing outward. As well as standard ‘protection’ explanations the theory that the skull provided a ‘resonance chamber’ effect during musical entertainment and dancing ( not necessarily disassociated from a ‘ritual ‘ ceremony/entertainment’ was proposed.